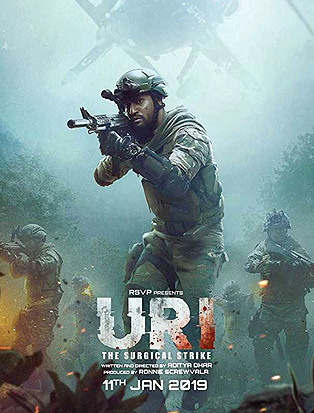 Based on the real life event of Indian Army’s planned attack on terrorist launch pads in the region of Kashmir in 2016, URI: THE SURGICAL STRIKE is a technically well-made film directed by the debutant writer-director, Aditya Dhar. It respectfully presents the superheroes in our forces as the unbreakable wall guarding the nation, capable enough to retaliate and answer the brutal attacks of the enemies in the same language. But as a war movie, it has its own limitations of a typical Hindi film, fictionalizing the attack inserting the routine filmy formulas, sadly converting it into a well-intentioned average attempt made with a purpose. Having said that, this is sure going to work for the viewers who are innocently interested in only watching a patriotic revenge drama ‘led by a solo hero’, instead of a thought provoking war film to be honest. So if you are knowingly willing to ignore the liberties taken in its real life inspired story progression and don’t mind the in your face political propaganda along with the melodrama then URI will certainly entertain and arouse the nationalism too, especially in its final 30 minutes handled well. Besides it will also win over a good majority due to its electrifying background score, emotional card played well, fine supporting performances by Paresh Rawal, Swaroop Sampat, Mohit Raina, Kirti Kulhari, Yami Gautam and an impressive lead act by Vicky Kaushal. Interestingly playing an exact opposite role from his RAAZI, Vicky has slowly made his place and has arrived with URI as a solo hero winning hearts of Hindi film viewers. And he actually excels in the emotional sequences, which is a big merit for a young talent for sure. In short, URI is a slickly made, decently satisfying smart film which excels in its technical departments dealing with the combat scenes, cinematography and sound designing in particular along with some fabulous performances. But at the same time, it lacks the desired tension, thrill and josh (even when you are repeatedly reminded of the same) and it’s more a solo hero personal revenge drama in disguise, served as a political war film giving you the actual picture. And there are solid reasons supporting the statement that might be interesting for the young film viewers (and reviewers) who get easily carried away by the emotions in such timely made movies made on sensitive issues. So in case you are only interested in the praises then the review finishes off here with the…. 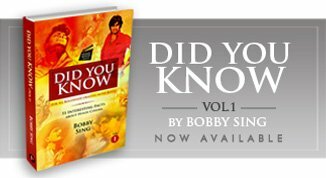 However if you are keen to know more about why it falls way short of a visionary war film, then do read further as the points would force you to think over it again in an uninfluenced state of mind from a different angle. Uncanny similarities with the making, release and criticism of the much acclaimed ZERO DARK THIRTY (2013). Post the interrogations begin in the second half of URI, it largely follows the progression of American thriller ZERO DARK THIRTY (meaning thirty minutes post mid-night as the darkest hour), which was also based on the real life hunt and America’s surgical strike into Pakistan to capture/kill Osama Bin Laden. The interrogations, intelligence meetings, surveillance rooms with officials watching the attack made through helicopters in night and more, strongly remind you of the similar sequences in the American thriller drama (which ‘mind you’ is not referred to or tagged as a War film). Brilliantly made as a focused movie, it is the dramatization of almost a decade long international hunt for the most wanted person and never allows the attention to shift to any forced sub-plot. Winning unanimous acclaim for its making by the critics, the film got nominated in five categories at The OSCARS and won the Best Sound Editing award too on sharing basis. Interestingly ZDT was also criticized to be a propaganda film promoting severe torture and for the makers getting improper access to classified material only accesible by the government authorities. Plus it was also opposed for deliberately being released before the upcoming elections as a means to support the President. The film was later released post the elections in early 2013 and the operation happened two years back in 2011. Having some exact similarities URI is also being criticized as a propaganda film on the similar grounds releasing at a crucial time and this is also a film made two years after the surgical strike happened in 2016. Quite unique similarities without any doubt! However here the big difference lies in the execution where at one ZDT is docu-drama kind of thriller strictly focusing on its subject, URI spends its first half in building an emotional base for the climax and the story more shapes up as a personal family revenge by an official taken single handedly. The film could have been a lot better if it was conceived as a completely focused war-film avoiding all clichéd, predictable, routine elements of a Hindi film. Too convenient writing as if it’s a heist movie, presenting the opponents as all weak, moronic characters. URI also suffers due to its too convenient writing in the second half wherein a top most official of the government even approves an intern's raw & untested drone for preparing the ground of the attack risking the entire operation. This specific comic insertion made it look like an adventurous heist movie instead of a serious real life inspired film based on a military attack. Secondly, even when it was supposed to be a strictly time based attack counting every second, a Hindi film hero still manages to have hand to hand fights with the rival spending a consideratble amount of time, as it is always a necessity in the climax of our fixed format. Bringing in the relief elements, most of the Pakistani officials are presented as comical characters (for instance Rakesh Bedi) and ones who can easily be fooled despite being in the inner circle of their country's intelligence. Besides they cannot even shoot straight even while shooting at a close target carefully hurting nobody. But above all, here the director places a young boy in the terrorist camp who rightly catches the Indian drone as a toy, but doesn't make any noise and starts playing with it instead defying all the logic. And we very well know that their basic training actually begins right from the early childhood as already shown in many Hindi films. Why we need personal revenge angle to arouse nationalism! Anyway, even if I accept all the creative liberties taken, the film made me ask one important question related to our nationalism, that why a personal loss and a personal revenge angle is needed to arouse the nationalist feeling or to make us feel the love for our country. Making it clear, an attack on our military camps killing our men sleeping innocently should be enough to go for a surgical strike. That should immediately arouse the feeling for the nation without waiting to get angered post a personal loss. So I would have loved the film more, if the director had straight away shown that the surgical attack were not related to any personal loss but immediately in retaliation of the cruel terrorists attack on our unaware soldiers. To remind, ‘the personal revenge’ wasn’t any key feature of our War films made in the past, even if it’s the loud BORDER or the subtle HAQEEQAT, as those films represented love for the country from heart and not in any way related to a revenge angle. The makers here exploit a personal tragedy to arouse the anger, whereas earlier it was just sufficient to be a war with China or Pakistan to feel the similar anger. This is in fact the change in the attitude of making a War film that differentiates URI from Indian War films made in the past including the recent PALTAN. "In straight words, one has to, one always will and one always should love his country, being ready to fight for it both as a soldier as well as a civilian without waiting or getting provoked by a personal loss." And this one feature unfortunately restricts the film to achieve any bigger benchmarks. A War film essentially has to be a TEAM MOVIE instead of Solo Hero film! It’s really difficult to assume or get convinced by a war movie focusing on a single hero, since War is always fought as a team led by a competent captain/leader. And an unbelievable heroic achievement by an individual in the war-field remains a rare exception, as seen in the new-age classic HACKSAW RIDGE (2016) - you got to see the film to know why it has been quoted here. So where a leading man always has to be there, a war film essentially has to focus on The TEAM, which is the reason, you find a long list of actors featuring in the War films made all over including our own in the past. But here, as a typical new-age, purposefully made Hindi film, we go on relying on the hero alone, not emphasizing on his team expect one or two associates, which is the fixed formula that mostly works in mainstream commercial cinema winning over the viewers high on emotion. But that is not the logical format of a war film. Why WAR FILMS are made? How can you differentiate between a well-made WAR FILM and a propaganda WAR FILM made with a purpose? The sole purpose of making a war film always has been to convey that WAR is never a solution for the problems of this world. A War film is always made to promote peace instead of hatred keeping in mind the upcoming generations waiting to be brought up in a better peaceful world. But if you wish to find a criteria then the answer to the relevant question is in fact quite simple. "Any WAR FILM made anywhere in the world in any language, if doesn't end with a strong message of 'futility of war' or 'war serving no purpose at all"....... is not a well-made WAR FILM adding to the already increasing hatred towards the other. That is just a propaganda thriller movie in reality made with a purpose." If possible do think over the points for a while, as they might result in sharpening the otherwise influenced thought process and logical reasoning. Tags : URI THE SURGICAL STRIKE Review by Bobby Sing at bobbytalkscinema.com, Indian Hindi War Films, New Hindi Films Reviews by Bobby Sing, New Bollywood Movie Reviews by Bobby Sing. Watched today, so reading ur review today only. Same points and sentiments, I discussed with wife and kids. Thanks a lot for agreeing to the viewpoint KBC. Saw URI today that too in a very poor theatre MovieTime Raja Garden. It has worst projection in entire West Delhi.Infact I didn't like the movie at all.With very poor projection and film shot in overdarkness spoiled complete viewing.I endorse your review totally and agree that it is not at all a war film. Nothing registers no relations get established.Just running around in dark with bullets flying every where does not make any sense.In Armed Forces nothing is done hurriedly and such operations NEVER.I think the debutant director got carried away by Indian Army's effort and decided to just cook a film on Surgical Strike. You are right in saying that everytime in our films the other side is always portrayed as buffoons.Same happened with Border. I missed that Line of Tension which is highly essential in such movies. Yes you are right, though Movie Time has installed new seats and all but their overall maintenance and screening is really pathetic at times. But the multiplex is still working as its in a kind of lonely location and has less ticket prices in comparison suiting the students and couples in particular. And thanks a lot for agreeing to my view over the film.